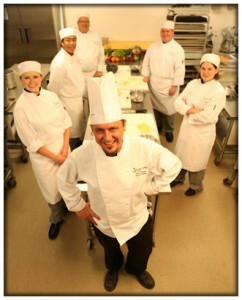 Chef Brian has created an interactive series of specialty dinners and cooking classes. allowing class participants to bridge any gaps in their personal repertoire. This hand’s on approach is suitable for cooks at any level. Each class takes an in-depth exploration into a method of cooking. The menus are designed to illustrate the principle elements involved. The focus is on proper terminology and application of required knife and tool skills. Thus allowing the participants to learn the body mechanics and proper techniques necessary for those committed to this age old craft. All classes will see the necessary equipment and tools provided and participants are provided with a recipe package. As a TrainCan Inc. certified proctor, Chef Brian Henry will work with you to establish a food safety plan. in any Foodservice/Hospitality or Retail/Grocery establishment. Learning how to prepare food correctly doesn’t cost your business more money, it will save you money. will ensure that you reduce operating expenses and ensure a safe environment for you, your staff and clientele. or almost completed, the mandatory 6,000 hour work experience, signed off on as required for you to write the Red Seal examination. This course is for you to review the theory essential to successful completion of the exam. This is not a diploma course, nor does the hours count towards Red Seal or other certifications. and will increase the potential for your success significantly. Are you eligible to write your Certificate of Qualification exam? Do not put it off any longer. Take this opportunity to in preparation for the exam. In addition to reviewing the theory, practice writing multiple-choice tests. The Red Seal Program is recognized as the interprovincial standard of excellence in the skilled trades. The Inter-provincial Standards Red Seal Program is a partnership between the Government of Canada, the Provinces and the Territories. 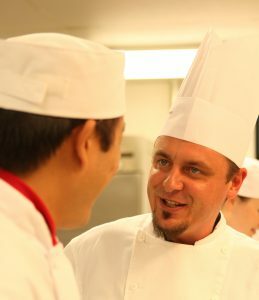 the Red Seal Mise en Place course offers an effective way to prepare for writing the Red Seal Exam for cooks. Choose the right tool for the job. Chef Brian Henry will walk you through the mechanics of using the most basic kitchen tool… your knife. Sharpening, honing and grinding for tool maintenance. Chop, dice, brunoise and chiffonade will be perfected as well as loin trimming, steak cutting and vegetable tourning. Stocks are the true essence of all great meals. Learn how stocks provide us with the backbone to soups and sauces. This integral aspect of cuisine will create a foundation for us to build upon. Stocks, soups and sauces are the focus of this class. 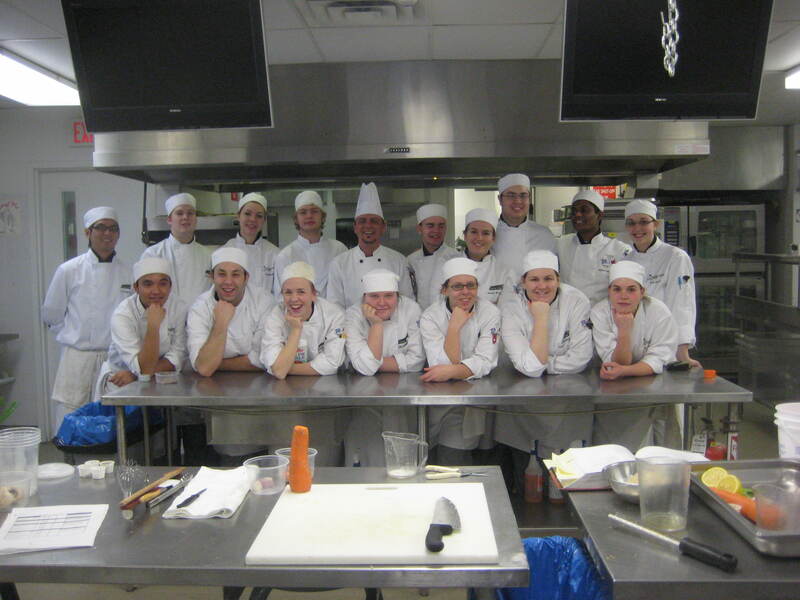 This class takes the foundations of Knife Skills 101 and The Kawartha Stock Exchange to their maximum potential. reductions, emulsifications and infusions of flavors. The Southern Holy Trinity, dark roux and lots of pork bellies define Cajun cuisine. we have everything that is needed for one pot cooking and a little bit of fun down on the bayou. Invite a few friends, colleagues or family members to form a class, and we will journey into the culinary world of spices. Together we will choose up to four dishes from a selection of authentic regional classics from our menu. We will cook several superb dishes and then enjoy your creation together. Come explore the culinary regions of the Philippines, as we tour some of the flavors of its 6000 islands. Discover the influences of Spain, Japan, Mexico and China had on this countries cuisine through Adobo, Kilawin, Erascaldo and Pancit. This class will decipher some of the confusion and conflict of cooking oils and fats. grapeseed, duck fat, and cocoa butter as well as other similar cooking mediums. This class will focus on the many flavors of Japan with easy and interactive dining concepts for friends and family to share. We will take an in depth look at Tempura, Sushi, Sukiyaki, Aemono, Agemono and Sunomono. in a tribute to the anniversary of the great ship going down. Thai cuisine appears complex and awkward to re-create at home. Thai to Go focuses on authentic Thai dishes which are unassuming using accessible ingredients. Tea for two will explore the tea trade with a cup of Darjeeling, and loose-leaf discussion on steeping practices. The dinner menu will include Gunpowder cured salmon, Hibiscus Flower Vinaigrette, and Rooiboos scented jasmine rice. Dessert will conclude with Chai tea ice cream and Earl Grey white chocolate fondue. 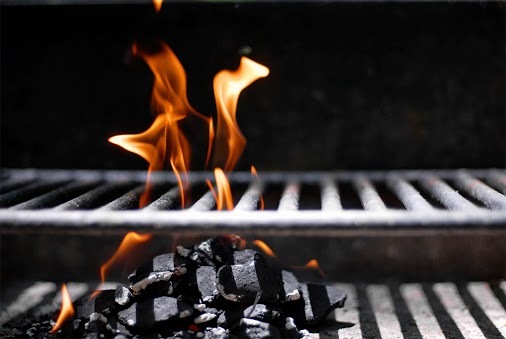 BBQ season is a year round season and it’s time to get things all fired up! We will explore the realms of grilling, marinating, roasting and smoking. BBQ Cooking Classes offered year round!! mandarin chicken stir-fry, shrimp fried rice and sesame ginger spring rolls. Learn how to fill your kitchen with the enticing shapes and forms of sushi. From simple cone rolls to sashimi and nigiri. Demystify gari, nori, and saibashi while learning new terms and techniques while exploring the artistic styles of Japanese cuisine. 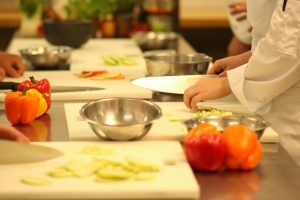 Sign up for cooking classes! Make pasta from scratch while taking a look at the world of sauces & noodles. These treasures of the spice trade have had a less than honorable history. Chef Brian will introduce your palate to the wide array of flavors found in these two essential culinary flavors. 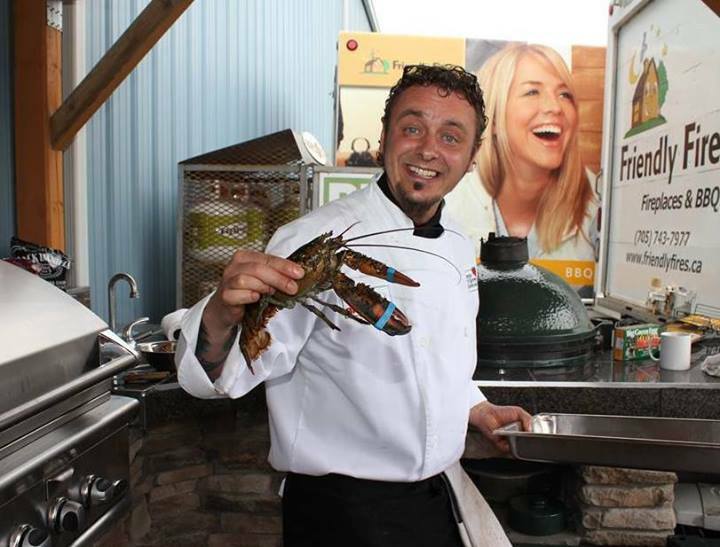 Serving up lobster at a class demonstration! Greek to Chef learn how to create meals out of salads with truly healthy dressings. Back by popular demand we shall return to Little Italy with more noodles, more sauce and more fun! In this class we take a look at Indian cuisine. Dahl, Aloo Gobi, Chicken Biryani and Chai ice cream are on this class menu. the fascinating uniqueness of this region through our palates. Join Chef Brian Henry and pass the time with stories and anecdotes from his travels. Explore a realm of tobacco beyond your wildest dreams; from Nicotini Martinis to tobacco infused vinegar’s. and what better way to finish this meal than with coffee and a cigarette.Please note that this class is designed for those who enjoy the pleasures of tobacco and is not for ex-smokers or anti-smokers.